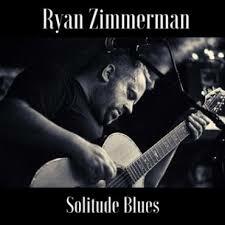 On Solitude Blues, Ryan Zimmerman is able to tell a dense and detailed story with little more than his guitar. There is a rough-hewn sound that imparts further realism to the track. Ryan’s vocals have that same dusty, experienced sound that will call forth comparisons to Chris Cornell and Waylon Jennings. Effortlessly moving through country and western, blues, and rock styles, Zimmerman is able to make his Solitude Blues into something that will stick around listeners’ brains long after the track ceases to play. The presence of a secondary set of vocals at opportune points further increases the depth of the composition. We previously covered Ephemeral As A Kiss back in January of 2018.